In today’s episode, podcast host and bestselling author Ed O’Keefe reveals how he decoded the art and science behind speeding up success in his megahit book Time Collapsing! Ed also schools us on the real power of language, and explores how it translates to target marketing and the art of building relationships. 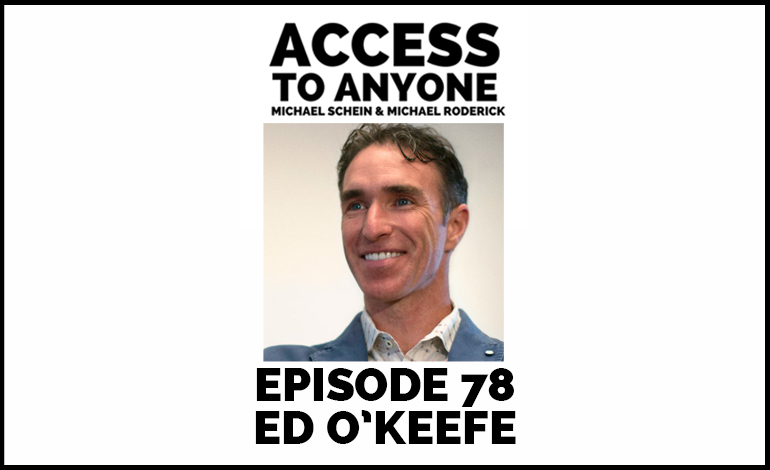 Entrepreneur, bestselling author, and most importantly the father of seven, Ed O’Keefe has gone from being dead broke to cracking the code of starting and taking multiple businesses from zero to multiple 7 and even 8 figures. He is the creator and founder of top selling brands such as Marine-D3, and strategic consulting products helping motivated entrepreneurs take their idea to market and scale using multiple media channels. Ed is also an investor in KNOWFoods – a fast growing company that makes eating healthy, gluten-free, grain free, wheat free, soy free, dairy free, non-GMO, & near zero glycemic index fun and taste amazing.